Your one-stop shop for all things RBI Baseball. Don't know what RBI Baseball is? Then you better start at square one. Dee-Nee.com aims to be the ultimate source for RBI Baseball on the Internet. It's a site by RBI Baseball fans, for RBI Baseball fans. Even though it's a Nintendo game from 1988, the community for RBI Baseball is strong and gaining members every day. Briznock uploaded an updated version of his Heaven vs Hell ROM. It's a custom ROM that gives you the hardest CPU challenge you can find. Get more infa about it on his forum thread and download it on the ROMs Page. We've lost another RBI Legend today, Don Baylor passed away today at age 68 in Austin Texas. I've done a very rare update of the RBI Baseball Database to mark on his passing. One of the best all around players in the game, he'll be missed. On the HOF selection of RBI'er Tim Raines, Yahoo's Jeff Passan wrote a nice article on his experiences with Raines via RBI Baseball as a child. It was well done, worthy of a rare front page update. Hi everyone! In preparation for our long overdue RBI Drinking Game Trounament in a couple weeks, Lips and I got some practice games in. Was a bit rough early on, but we got our timing down and in the last game I broke a record - most runs in a loss with 28. Lips actually had a chance to beat the all time record for most runs but got a donut in the last inning. The records page has been update, Potsie's 14 year badge of shame is officially mine! Thanks to forum member BravesPaul, we now have all the music and sound effects from RBI3 available to download. Get it on the Media Page and have yourself a new ringtone. Yesterday we received a bunch of new information about the new version of RBI Baseball being released by MLB Advanced Media. This is most welcome news as many folks were starting to think that this game wasn't going to be released, as info was scant and updates non-existant. You can hit up these links on Baseball America, Deadspin or Polygon for more information. The big things we learned today are that the controls and rosters will be simple like the original, there is no online play, all MLB teams will be represents and mobile versions. Most folks are bummed about lack of online play, but if they get the controls right, which is sounds like they are, I'll be a happy camper. They are focusing on quick games (less than 20 minutes) and preserving the two button nature of the original. Rumor has it the release date is April 10th, some of the most exciting RBI news we've had in quite some time. Heck, it even got me to update the main page! We have an ongoing forum thread discussing the new RBI, be sure and sign up if you haven't already and add your two cents. While I'm here I've decided it's best to remove all the from page updates from 2005 (good God) and before to the Archives Page. It was time people, it was time. Does this mean with a new version of RBI there will be a bevy of front page updates and an unyielding stream of RBI related information from this site? No, likely not - though the forums are still heavily active, that is the place to go first. Cool java site to play RBI from any browser - check it out. Only 13 months since the last update! I wanted two talk about two new and active sites in the world of RBI, unlike this one. 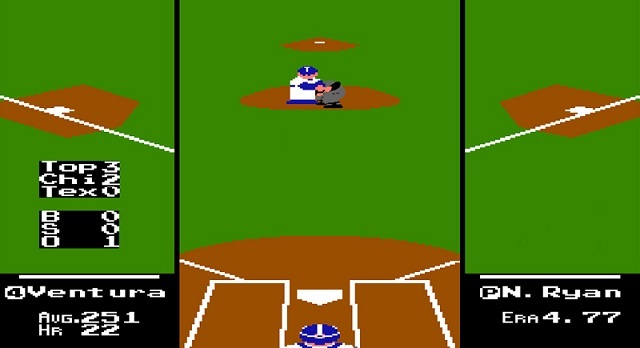 http://www.rbibaseball.us/ is a site started by Tecmoturd of the forums. He has been incredibly active in making new ROMs featuring the hack that allows you to play with 30 teams instead of the original 10. His site features a 2010 ROM with 30 teams and he's led a bunch of us on the forums to create a ROM with all the teams from the 1986/1987 RBI era. It's close to done, check this forum thread for all the updates and breaking news. The other new site has been started by my buddy Brad, aka TecmoBowlTerror, aka TBT. It is TecmoBowl-vs-RBI.com and focuses on RBI baseball strategy and how to play successfully. It's a great idea and something I really don't talk about much here on Dee-Nee. Brad is an elite Tecmo Bowl player, definitely check out his strategy guides on that game as well. Thanks to forum poster gig for submitting this awesome photo. The 2008 RBI Championship of the Universe tourney is on in Chicago, and needs 13 more entrants. Please folks, sign on up and play against the best that the RBI world has to offer. It's been a bi-annual tourney for quite some time now and always brings out the best of the best. Still around folks, though needless to say the front page and main site doesn't get much updating. Nightwulf & myself started to work on a new, improved version of the site but we both got a little too busy and it's on hiatus again. Anyways, read this great ESPN Page2 article about Wally Backman, seems like things haven't gone so well since his 4 day stint as D-Backs manager. In other RBI news, San Francisco leadoff man Jose Uribe has passed away due to a tragic car accident this morning. Our thoughts go out to his family and wish them the best. 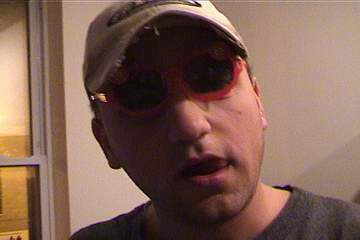 Congrats to Jason aka Racktacular for winning the 2006 RBI Baseball Drinking Game tournament! He played well throughout and beat yours truly in the finals. Both games were 20-19 with a walkoff homer by Jason, truly dramatic. For all the nitty-gritty on the tournament games, check out the forum thread. In exciting online news, clyon has returned to create a whole new set of RBI ROMS for the 2006 season. The site is well done and he's actually topped his 2k3 ROM set. Go to his site right now and download them. You won't be disappointed. First off, happy 44th birthday to RBI Legend Jim Lindeman! Other big news for today was Gary Carter getting hired as Manager of the St. Lucie Mets, replacing previous RBI'er Tim Teufel. Looks like Carter wants to manage a major league team, best of luck to him. His RBI Database Page is also shaping up quite nicely.